I just watched the latest episode of Ghost Adventures (Tintic Mining District) and the crew caught a terrible demonic scream on their EVP device near the end of the episode. This gave me the worst case of the chills that I have ever had. Not sure what the heck the guy who owns the house summoned into this world, but it's definitely not something to be messed with. You might not think Ghost Adventures is real (I sometimes think some of the "evidence" is far-fetched), but that was a scary moment to witness. Please let me know if you see this episode and what you think of this "demonic scream". I haven't seen it but would love to hear others opinions! Perhaps once in a while they come across something legitimate, it's bound to happen! Yep very strange I liked the episode! I just watched the latest episode of Ghost Adventures (Tintic Mining District) and the crew caught a terrible demonic scream on their EVP device near the end of the episode. This gave me the worse case of the chills that I have ever had. Not sure what the heck the guy who owns the house summoned into this world, but it's definitely not something to be messed with. You might not think Ghost Adventures is real (I sometimes think some of the "evidence" is far-fetched), but that was a scary moment to witness. Please let me know if you see this episode and what you think of this "demonic scream". I suppose some might consider my opinions as overly cynical and at times skeptic, but, in scholarly debate, it's up the the person who makes the claim to provide proof of the claim which will never take place in this situation. 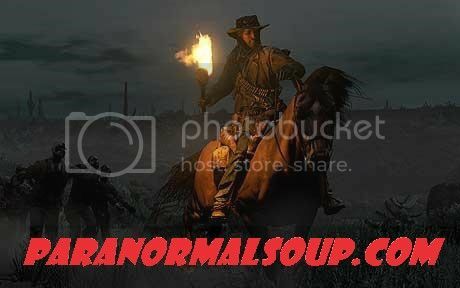 To be critical, one needs to ask the age old question, does paranormal entertainment represent true paranormal evidential discovery? Is there any level of implemented control and measurement taken place? Has there ever been any level of purposeful deceit or improper identification? I've seen three days of filming of a popular paranormal show and the final cut surely never represented our teams findings. Admittedly, my first hand encounter of television paranormal entertainment can't be used as a blanket statement for all shows but it's a matter of simple economics these shows require evidence or viewership will subsequently be reduced and sponsorship will recede. What I can tell you is that I saw one episode where Zack was in an abandoned prision with a Tri-field Natural standing on top of a bedspring bouncing in a circle proclaiming he had evidence of a ghost and surely anyone with even the smallest amount of experience with that meter knows it's meant to be used in a stationary position without movement or the needle will produce false positives. On another occasion, Zack claimed he heard a baby crying in an abandoned asylum but failed to mention that raccoons have frequently produced the same sounds when disturbed. Giving him the benefit of the doubt and suggesting his claims were purely mistaken identification instead of faked evidence, it still leaves one to wonder when Zack is in a position of providing credible analysis. I'm sorry, but I won't even download the episode and extract the audio to make the determination of whether the snippet has any telltale anomalous characteristics. It will be precious minutes of my life I will never get back. You are more than welcome to draw your own conclusions, but to date, I've seen what paranormal entertainment is capable of to question ulterior motivations. Edited by EVP, 26 November 2018 - 04:05 AM. I have a hard time watching paranormal investigation shows. To me, they are too similar to reality shows that manipulate the scenario in efforts to create something dramatic that draws the viewers in. This is all reality shows IMO. If a ghost hunter show had actual evidence of a real ghost. Whatever evidence required that 99% of all people would get chills and find no other logical explanation. It would be all over the news. Too much fame and money to pass up if they had proof. For the most part, I think GA fakes or exaggerates things simply for effect. I've noticed lately they'll show video anomalies and claim spirits, when it's clear they are either dust or bugs. Of course Zak will say "it can't possibly be dust or a bug". Rubbish. The "scream" just wasn't chilling to me, and didn't necessarily make me think demonic or evil. Yes, there was a sound there, but was it faked? A normal noise that just sounded odd? Watching GA is a guilty pleasure for me, but the dramatics and histrionics are getting old. I just enjoy yelling at the screen when they do/say stupid stuff. Hehe it's my version of 'Hey you kids, get off my lawn!" lol @ the dusk mask, look after yourself first then think about the safety of others.... classic airplane rule! I always preferred the first few seasons. I agree that it's mainly just entertainment. I always saw it as a mix of real evidence with exaggerations and a few falsehoods. That said; I always found the documentary and earlier episodes a bit more credible for some reason. 38:38 is the one with the scream. ('What name are you connected to?') "Zak Bagans" (Thought I personally heard 'Zak....the name's Zak'....). ('Who brought you here?') A LOUD SHRIEKY NOISE! Edited by SpukiKitty, 29 November 2018 - 09:20 AM. Because moths are attracted to light and it was so close to the candle, its flapping wings caused the flame to flutter.. The scream, however is "WOW! ".